The government has approved a third runway at Heathrow to expand UK airport capacity following a cabinet committee meeting on Tuesday. Transport Secretary Chris Grayling said the "truly momentous" decision would support trade and create jobs. Gatwick airport said it was disappointed with the decision, which was "not the right answer for Britain". The issue has split the Cabinet, with Foreign Secretary Boris Johnson saying a third runway was "undeliverable". The Education Secretary, Justine Greening, whose Putney constituency in southwest London is near the airport, has also been a vocal critic of Heathrow expansion. The Department for Transport said a new runway at Heathrow would bring economic benefits to passengers and the wider economy worth up to £61bn and create as many as 77,000 additional local jobs over the next 14 years. Heathrow said the expansion would allow it to offer more direct flights to UK destinations as well as up to 40 new cities abroad such as Wuhan, Osaka and Quito. Is new runway more important post-Brexit? A public consultation will now be held on the effects of airport expansion before the government makes a final decision as part of a national policy statement on aviation. MPs will then vote on that decision in the winter of 2017-18. It is unlikely that any new runway capacity would be operational before 2025. Construction is not likely to begin until 2020 or 2021, the Airports Commission has said. Mr Johnson, the MP for Uxbridge and South Ruislip in west London, doubted whether construction would ever start: "The day when the bulldozers appear is a long way off, if indeed they ever materialise." Sadiq Khan, the mayor of London, also said expanding the west London airport was the wrong decision for both London and the UK. "There are more people affected by noise because of Heathrow than people affected by the airports in Paris, Amsterdam, Frankfurt, Munich and Madrid combined," he said. "The air in London is a killer. It makes you sick and it's unlawful." Greenpeace UK chief John Sauven said a third runway at Heathrow would increase air pollution and "be a waste of time, money and lives". Andy Slaughter, Labour MP for Hammersmith, said opposition from predominantly Tory-controlled councils, communities and MPs meant "the chances of a toxic third runway being built are vanishingly small". However, a wide range of unions and business groups welcomed the decision to expand Heathrow. TUC general secretary Frances O'Grady said it was "absolutely vital for Britain", while CBI chief Paul Drechsler said it would create jobs and boost economic growth. Heathrow management said the airport was ready to deliver a third runway that was "fair, affordable and secures the benefits of expansion for the whole of the UK". Expanding airport capacity in the South East of England has been a political hot potato for many years, which is why successive governments have attempted to duck the issue. 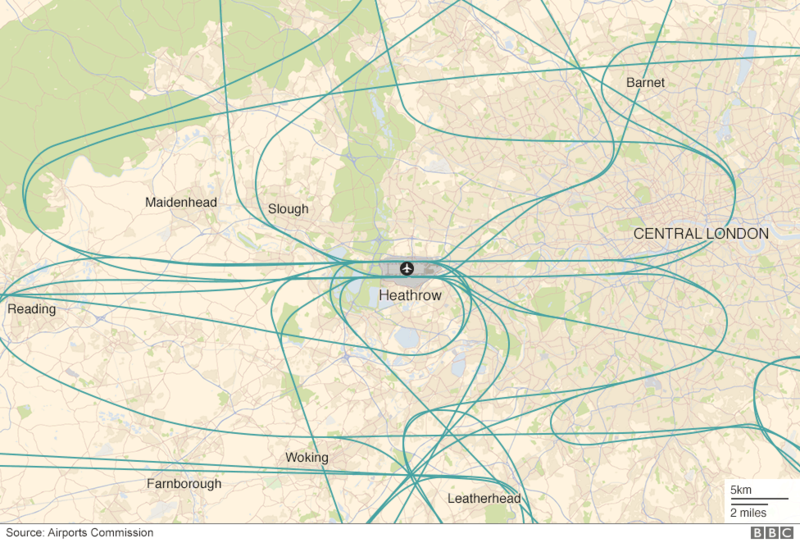 Although Heathrow has always been the favourite among businesses, it has attracted the most opposition from MPs with constituencies near the airport or under flight paths. A study last year led by Sir Howard Davies recommended a third runway at Heathrow, but other options included a new runway at Gatwick or extending one of Heathrow's existing runways. 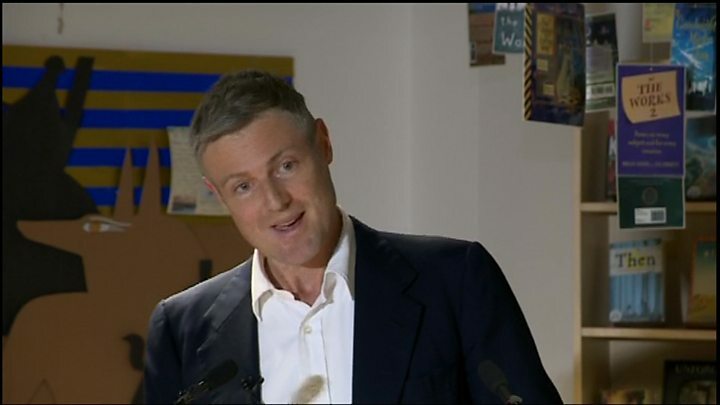 Zac Goldsmith, the Tory MP for Richmond Park, has resigned in protest against the decision, which he called "catastrophic". The shadow chancellor, John McDonnell, whose Hayes and Harlington constituency includes Heathrow, said the announcement was the start, rather than the end, of the process. "It beggars belief that it has taken ministers over a year since the publication of the Davies report to even make that start," he said. "There is no justification for dithering on this scale." We have a long way to go before we see the proverbial shovels in the ground - there will be legal and planning challenges aplenty to come. However, with today's decision to recommend a third runway, this government has arrived at a point its predecessors failed to, with a real prospect of action. From beating ourselves up for not being able to build anything, the UK is suddenly building everything. Heathrow was chosen because of the extra boost it gives to the UK economy, but it is not the only mammoth project out there. After a last-minute wobble, the £18bn Hinkley Point nuclear power station was given the green light, while the biggest project of them all is coming down the track fast. Construction on the £42bn HS2 is scheduled to begin next year - and that is probably not all. Chancellor Philip Hammond has hinted he may reveal some moderate borrowing to fund targeted infrastructure spending in his Autumn Statement next month. It's enough to make the Victorians sit up and take notice. If projections for a fairly sharp post-Brexit slowdown in the economy next year are correct then we may need this spending boost. If these projects proceed on time, there is something else we will need: people to build all this stuff. With unemployment close to historic lows, it's not clear we have enough. Like the Victorians did, it seems very likely we will need to look abroad to find the workers for our golden age of infrastructure - and that, post-Brexit, will present a political rather than an engineering challenge. 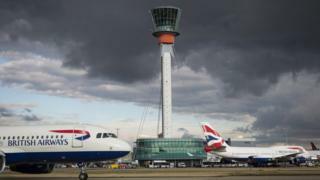 Willie Walsh, chief executive of British Airways owner IAG, welcomed the decision to expand Heathrow but added: "The government's directive to cap customer charges at today's level is fundamental. Heathrow is the world's most expensive hub airport so it's critical that new capacity is affordable." His counterpart at Virgin Atlantic, Craig Kreeger, described the announcement as an exciting opportunity to radically transform airline competition at the UK's main airport". The airline would strive to ensure that passengers were not "overburdened by paying for runways and facilities that won't be open until the mid-2020s". Simon Jack: a golden age? Is new runway needed more post-Brexit? 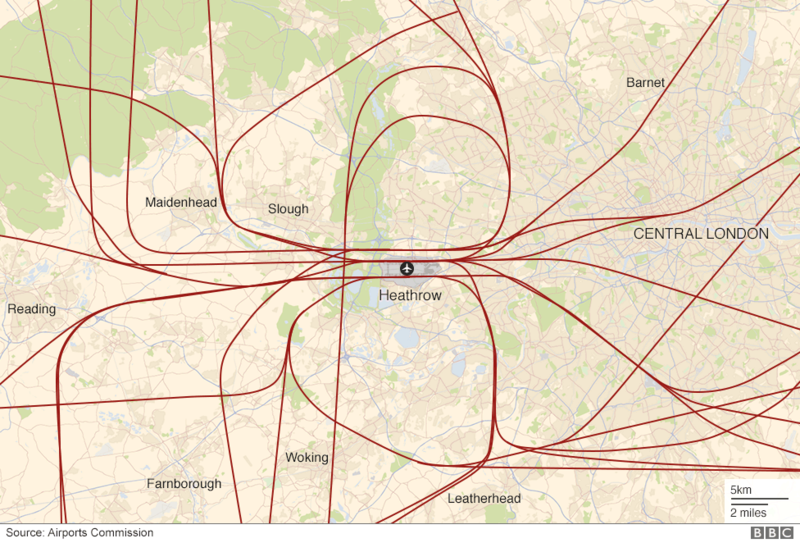 Heathrow expansion: What happens next? What about other UK airports' expansion plans?